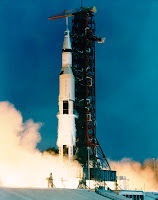 My life journey: Today: Apollo 11 liftoff! July 16 1969 - Apollo program: Apollo 11 launches from Cape Kennedy, Florida and will become the first manned space mission to land on the moon. One of the historic "points of importance" as I like to call them. It's not about the actual moon landing, but it's about conquering. Neil Armstrong and Edwin "Buzz" Aldrin are the conquerors of a future new world, a place where people will live, stay, work, reproduce, keep the human race going. Sometimes events seem to surreal, unreal, or even impossible to predict and/or achieve. 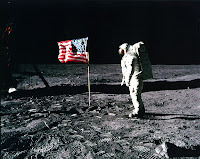 Apollo 11 is one of those events that are real, for which people will talk about for generations to come. I'm not talking about which nation sailed first to space, because we all know that Russians were the first to do that. The very action of space exploring is something that amuses me, and makes me really curious about the future.